Love at first sight happens more often the older you get, new research has found. A study discovered that as people enter later life they are more able to tell if they fancy someone from the moment they clap eyes on them. Indeed, one in four people over the age of 65 can confidently say within seconds whether they are attracted to a new date, compared to just 19 per cent of 45-year-olds. Singletons in their 60s are also more likely to end a date within minutes of it starting if they don’t immediately fancy the person they are seeing. In addition, the new study of people aged 45 and over shows having someone you can talk to becomes more important with age, as does sharing similar backgrounds and being in similar financial positions. Interestingly, having fun and sexual chemistry become LESS important as people enter their 50s and 60s. Andrew Sheen, editor of online retirement community www.retiresavvy.co.uk, said: “It’s a myth that life ends when you reach your later years. “Whether it’s meeting new people clubbing or through online dating, there’s an image of the over 55’s that’s at least a decade out of date. 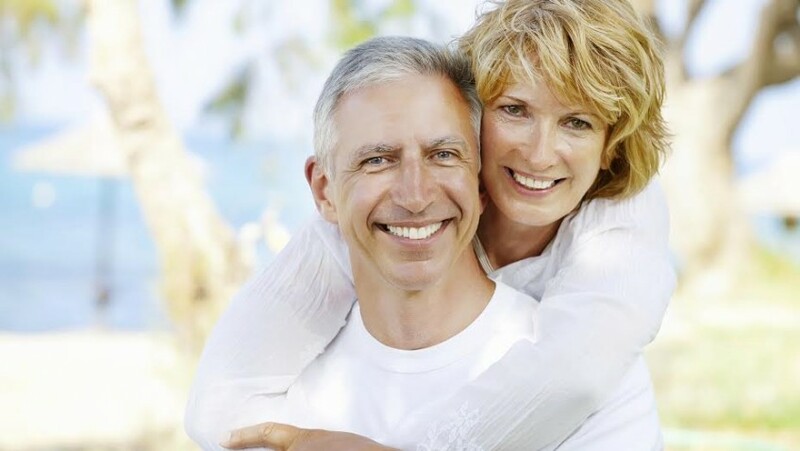 “Far from being past it and happy to settle, the over 55’s are among the most confident when it comes to dating and romance. “Our survey finds the over 55s know what they want from a relationship and they’re not afraid to take the lead to get it. The study shows that as people get older they understand exactly what they want in life – 77 per cent of people aged 65 and over have a clear life plan compared to just 55 per cent of people in their forties. Similarly, when it comes to dating, with age comes a new found confidence – older generations of singletons are much more likely to know where they want to go, what they want to do and what they hope to achieve by meeting someone new. Six in 10 people in their sixties are very clear about what they want to get out of a date, compared to 48 per cent of people 20 years younger and older people are also far less nervous than their younger counterparts. Just 41 per cent of people over 65 claim they get anxious before a new date, compared to a whopping 66 per cent of people in their forties. The study reveals 84 per cent of people over the age of 45 would also think nothing of calling time on date if they were uninterested in the person they were seeing. The average date will last no longer than 43 minutes if suitors are boring, unattractive, nervy or awkward. Nine out of 10 people claim they can often tell within minutes of meeting someone whether they are going to like them or not, and 83 per cent say first impressions really count. Most people in their forties and over say they generally know what they want from life now, and four in 10 understand they would be hard to please on a date because of this. When it comes to being satisfied on a date, 84 per cent say the conversation needs to be easy and free flowing, while 67 per cent want to see someone who is relaxed. For more than half of people polled, a successful date is one where they are made to laugh all evening. And six in 10 say a date is more likely to be a triumph if their suitor isn’t too pushy or presumptuous. A third of people want to be instantly attracted to the person they’re spending the evening with, while 50 per cent would like them to be courteous and chivalrous. Despite being unlucky in love so far, 22 per cent of people still hold out hope of meeting a long term love interest, while 44 per cent would be content with finding someone to have fun with. When it comes to getting into a new relationship, 44 per cent of people are confident they know exactly what they want – having someone to talk to tops the list. And by this point in their lives, people are more interested in finding someone to have fun with and share similar interests with than having any sexual chemistry. Despite this, just under half of 55-64 year-olds and a third of those aged 65 and over said sexual chemistry WAS the most important thing to them when it came to a relationship. The most popular dating methods for people aged 45 and over are dating friends of friends (40 per cent), online dating (27 per cent) and blind dates (15 per cent). But while 38 per cent deem dating friends of friends as the best way to meet new people, only one per cent have gained anything from having a social engagement with a complete stranger.